I put both sides of the Velcro dot together. 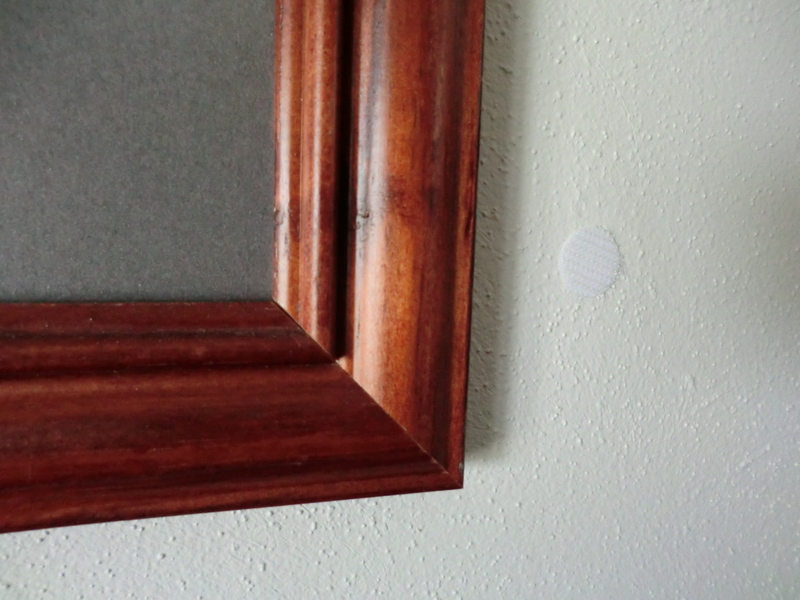 I remove the adhesive cover from one dot and stick both dots to the picture frame. I hang the picture, holding the picture away from the wall; I remove the second adhesive cover. Using a level, I get the picture straight and then I press it against the wall in the corner where the dot is placed. The dot adheres to the wall and the Velcro holds the picture level. I use Velcro Dots to keep my pictures level. This entry was posted in Decorating and tagged Decorating by Frugal Fish. Bookmark the permalink.